Specialist in providing a full range of accountancy and taxation services to owner managed businesses, whether sole-trader, partnership, LLP or limited company. Area Covered:...Read moreSpecialist in providing a full range of accountancy and taxation services to owner managed businesses, whether sole-trader, partnership, LLP or limited company. Summary: I am a qualified chartered accountant & registered auditor and have run my own small accountancy practice since 1997 having previously worked my way up to beng a senior audit manager at a top 50 accountancy practice. 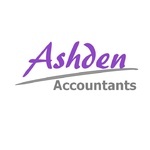 My practice specialises in providing accountancy and taxation services to owner managed businesses.